IK Multimedia has brought the market a very effective, reliable and quite technologically-advanced MIDI keyboard controller to the market with the iRig Keys I/O. We were given the 49-key model today to write an honest review of our thoughts and experiences after some very in-depth testing the controller. Being one of the few MIDI controllers to be compatible with not only Mac and PC but iOS as well (yes, it also comes with the necessary cables for all platforms), the amount of versatility we’ll be getting at our fingertips is immeasurable. Combine this with a built-in audio interface, one of the largest software bundles we’ve seen in a MIDI controller, and some touch-sensitive strips to get your programming on, and we have a big package here in a small frame. Let’s get into the details of our iRig Keys I/O review here today. One of our favorite brands, Akai Professional, has come out with three new MIDI pad controllers for us to play around with. Nowadays, us producers usually use a MIDI keyboard that already has pads alongside it as opposed to a piece of gear dedicated to only pads. However, what about an extra upgrade in terms of pad feel\make? What about some extra faders, knobs and buttons to assign sounds\FX to? 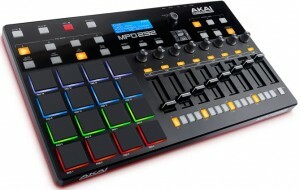 In this article, we focus on the middle model of their brand new MPD2 series of controllers, the Akai MPD226 MIDI Controller. Another year, a bunch of new gear. We always have our antennas up for new Akai music equipment, and this year they’ve brought us a few new controllers to play with. They’ve built upon their older, solid MPD pad controller and have created three new versions (upgraded, that is). 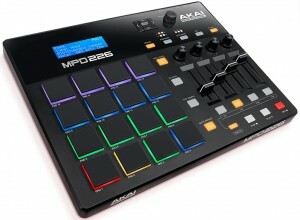 In this article, we explore the flagship model of the new MPD2 toys, the Akai MPD232 MIDI Pad Controller. They’ve combined their beloved MPD pads, some control surface features as well as step sequencer programming into one machine. Let’s check it out! We’ve been given some heat by certain people online for not reviewing a Nektar MIDI keyboard controller since the birth of our website. We’ve finally been able to give it a look, so for all you Nektar fans and members of the marketing department who so happily went comment heavy in our MIDI keyboard guides, this one is for you. This particular model is their latest 88-key version of their popular (and powerful) Impact LX controllers. Let’s see what the Nektar Impact LX88 MIDI keyboard has to offer. To continue our series of reviews on the new Akai Professional MIDI keyboard controllers, the 49-key version of the Advance models brings us the most popular solution in terms of key counts. If you read our Advance 25 MIDI keyboard review, you’ll have learned that the most important highlight of these new controllers is their VIP software. It allows you to seamlessly control your VST’s and plug-ins. Akai has done a great job at pretty much eliminating all ‘extra moves’ you’d need to make in order to sync your sounds with your controller. This is especially nifty for those who perform live, but it can be beneficial for studio use as well. Aside from that, there are some other decent features that it comes with that may make it worth it for you. 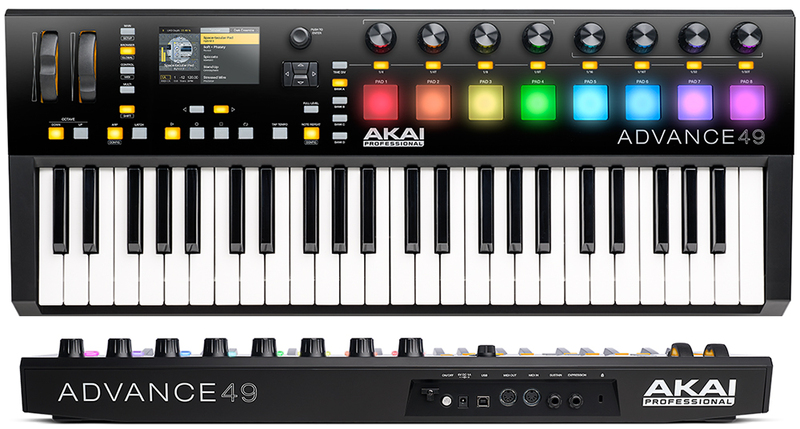 Let’s check the details on the Akai Advance 49 MIDI keyboard controller.